It's time for the three little pigs to leave home, and as their mother waves them off, she warns them to watch out for the big, bad wolf. The little pigs build houses of straw, sticks and bricks. But the next day along comes the big, bad wolf. He huffs and he puffs the first two houses down, but he just cannot blow the house of bricks down. Getting very cross he climbs up on the roof and makes his way down the chimney, but the three little pigs come up with a plan to rid themselves of the big, bad wolf forever. 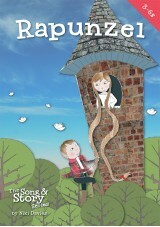 Far more than just a songbook, this series has been written for use both in the classroom and in assemblies. Traditional, well loved stories re-told through a very simple script and just a few bite-size songs. The Three Little Pigs is now an award-winning title. "The children loved this! A favourite story was brought to life, giving a new twist to a traditional tale. 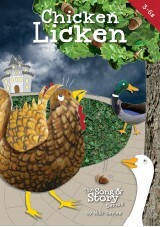 The songs were catchy and easy to learn, and the children listened intently to the story. It was great to have the performance licence included in the price and to be able to access extra resources online. Activities could also be extended by making masks and acting out the stories using homemade props." Catchy and easy to learn songs. Added more lines/parts as had 36 children - most of them were farmyard animal friends of the 3 little pigs and assisted in the building of the houses. 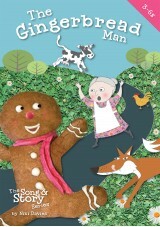 Children loved it and perfect topic for short timeframe as they were all familiar with the story. We performed this for our F2 assembly. 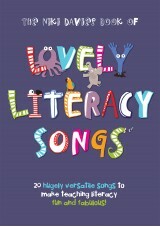 The songs were very easy to learn and the children loved them - they could be heard singing them when at play. Took just two weeks to learn all the songs. The play was simple and went down well with the audience. I am still singing the songs!